Watch a demo of the LUMOback sensor + app! Currently compatible with Apple iPhone 4S, 5, iPad (3rd and 4th gen), iPad Mini, and iPod touch (5th gen). 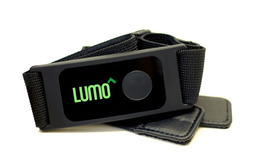 Stand taller and feel better using the LUMOback posture sensor and mobile app. The sensor provides a gentle vibration when you slouch to remind you to sit or stand straight. It is worn on your lower back and designed to be slim, sleek and so comfortable that you barely feel it when you have it on. 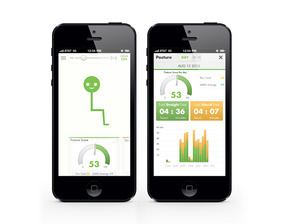 The sensor connects wirelessly to your smartphone to track all of your movement data. Your avatar, LUMO, mirrors your daily activities. Anyone can use LUMOback. Its simple and integrates into your daily routine.